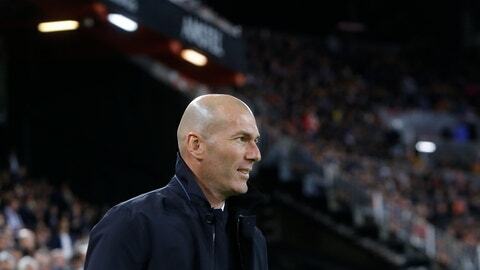 MADRID (AP) — Zinedine Zidane says that Real Madrid is set for changes this summer after a disappointing season. Madrid is enduring one of its worst seasons in recent memory. It was eliminated from the Champions League in the Round of 16, failed to reach the Copa del Rey final, and fell out of contention with leader Barcelona in the Spanish league by midseason. Zidane stepped down at the end of last campaign but returned with the team in trouble last month. Madrid has won three and lost one since its former player has been in charge. Third-placed Madrid plays Leganes on Monday. Gareth Bale is among the Madrid players to have struggled this season and fallen out with fans. Marcelo, Francisco “Isco” Alarcon, Marco Asensio and Toni Kroos have also had particularly poor campaigns.